Available for order. Delivery from January 2019. 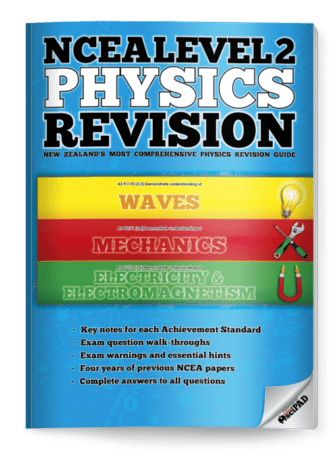 New for 2019, this Physics workbook is a collaborative effort of some of New Zealand’s most gifted science educators. 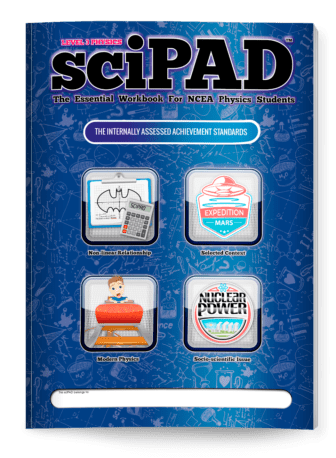 It’s designed to be comprehensive and engaging without being loaded with superfluous information that is outside the scope of each standard. It has also been designed to support your teaching programme with clear diagrams, concise notes and relevant contexts to enhance and reinforce your student’s learning. 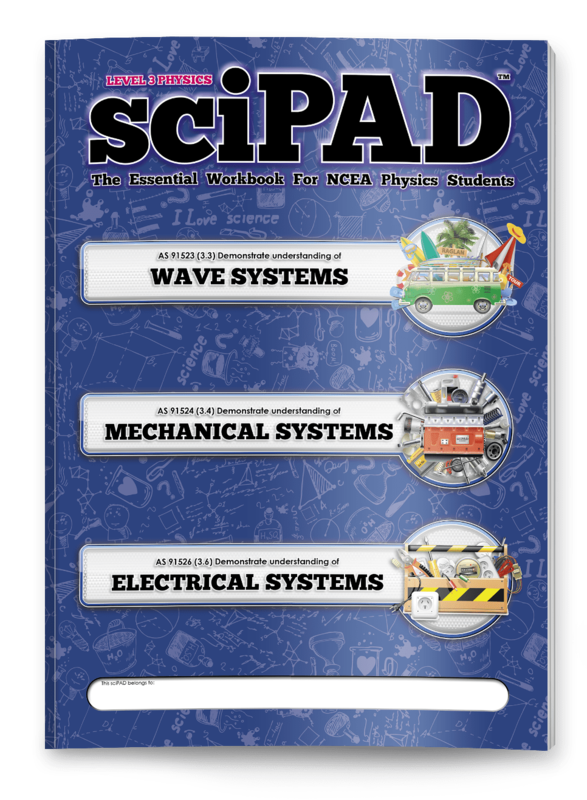 The Level 3 Physics sciPAD workbook provides comprehensive coverage of the three Level 3 Physics externally assessed Achievement Standards AS 91523 (Physics 3.3 - Wave systems), AS 91524 (Physics 3.4 - Mechanical systems) and AS 91526 (Physics 3.6 - Electrical systems). 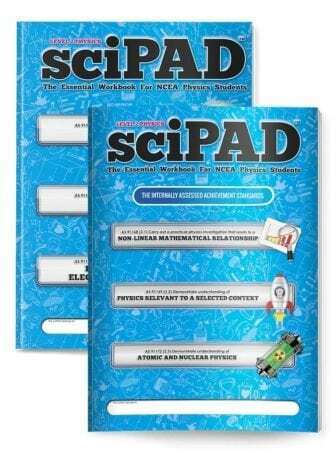 NCEA-style questions are provided with ‘walk-throughs’ to guide students towards structuring extended answers. Hints are designed to get students moving towards the top of the 8-point NCEA marking system. Each unit ends with review activities to consolidate key terms and concepts. 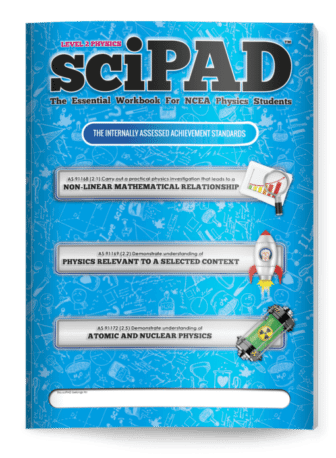 At 360+ pages you won’t find a more comprehensive, exciting, or engaging physics workbook for your students. 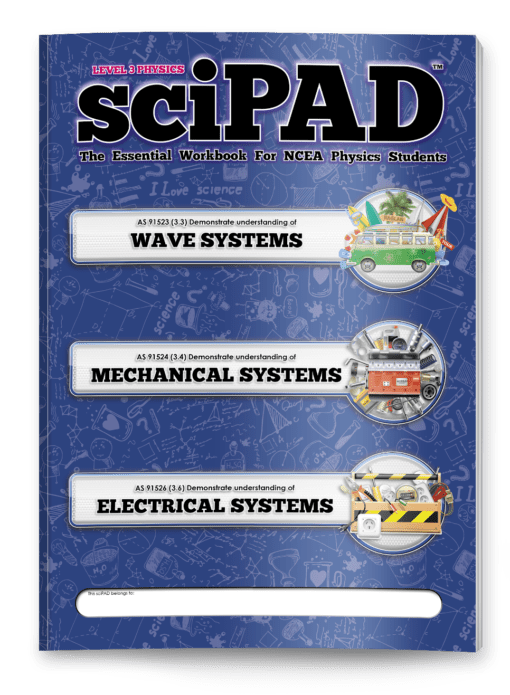 This sciPAD will be available on the student shop for ordering in January 2019.